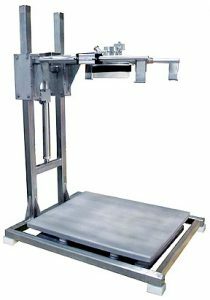 IEDCO’s “Zero-Lift” Bulk Bag Filler System has a custom designed base that permits the placement and removal of big bags on pallets using a standard pallet jack rather than a walking stacker or forklift. 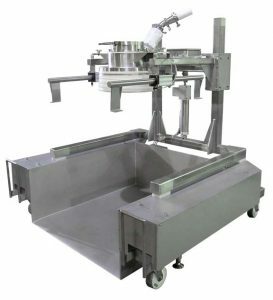 The entire base is mounted on load cells and inflatable air bags, which permit loading and unloading in the lowered position. When the air bags are activated, the platform is elevated off the floor, so as to not interfere with the weighing, and the bulk bag is filled in this position to an accurate weight. Upon completion of the filling process, the platform is lowered, and the bulk bag is easily removed.